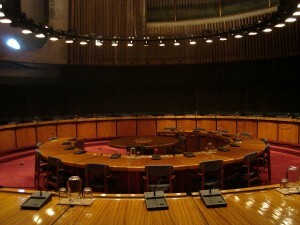 United Nations Economic Commission for Latin America and the Caribbean (known as ECLAC, UNECLAC or in Spanish CEPAL) headquarters in Santiago, Chile. The United Nations Economic Commission for Latin America and the Caribbean recently released a report in which it examines the use of digital currency technology in the Caribbean subregion with the goal of drawing attention to the opportunities and liabilities related to this technology. 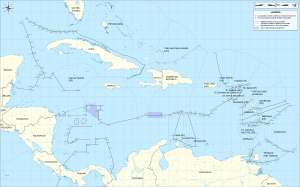 Following an introduction to digital currency and policy development related to digital currency in a global context, the report summarizes digital currency activity in the Caribbean. For example, in early 2014, the Koblitz Group were reportedly working on an initiative to establish a digital currency exchange to serve the Caribbean, with a launch in Barbados and then an expansion into Trinidad and Tobago. The Commission’s research into Koblitz Group revealed two subsidiaries: Bitt, a digital currency exchange; and ASICBLOCK, a hosted digital currency mining service. 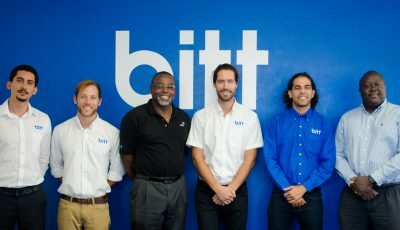 In March 2015, Bitt launched its digital currency exchange in Barbados, after securing a $1.5 million USD seed round investment from a venture capital firm based in Trinidad and Tobago. Last week, Bitt announced the launch of the Caribbean’s first blockchain-based digital currency, called the Barbadian Digital Dollar. 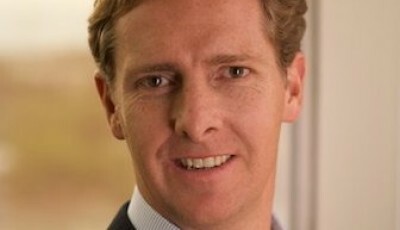 The company said in a press release that its technology is a major step to solving the Caribbean’s historical challenges with its banking and financial infrastructure. The Barbadian Digital Dollar is equivalent to one dollar issued by the Central Bank of Barbados, Bitt said. “What we do is allow people to do more with their money,” said Gabriel Abed, the company’s co-founder and CEO, in the press release. The report also states that Trinidad and Tobago has the potential to become a hub of digital currency activity given its relatively low cost of energy, making it an attractive location for digital currency mining. In its report, the Commission mentions a “Bit Drop” event planned for March 2015 in which the 70,000 residents of Dominica would be the beneficiary of a quantity of free bitcoin through the smartphones. But the event was cancelled a month before schedule, with one reason being the lack of government support for the project. The report suggests reluctance by the government to support the event may have stemmed from pushback from a population wary of embracing a technology that had garnered negative media coverage, such as the Silk Road trial and the collapse of the Mt.Gox exchange. 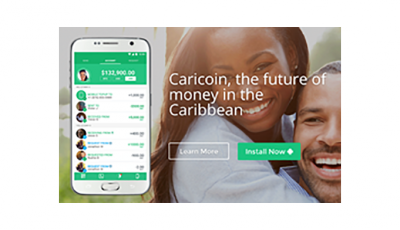 The report also includes results from a survey designed to gauge Caribbean central banks’ awareness and understanding of digital currency and mobile money solutions within the region. 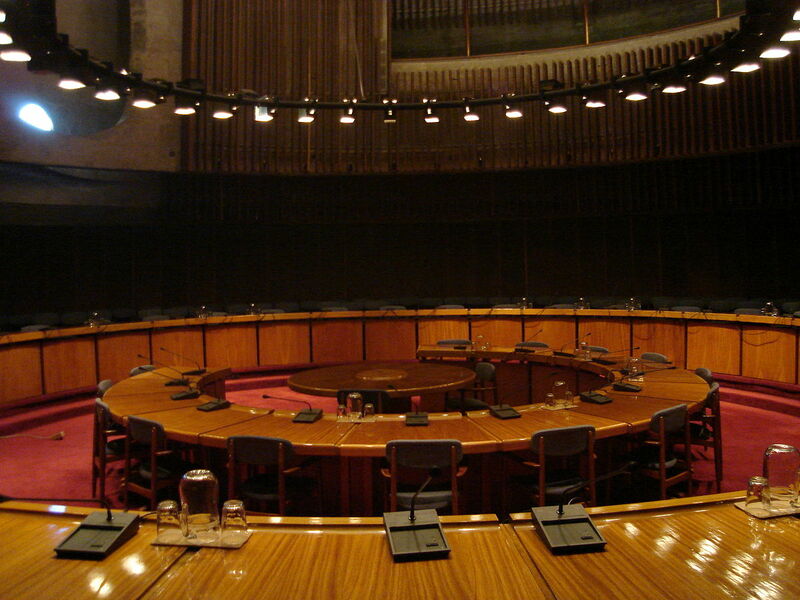 Despite giving sufficient time to 13 central banks to complete the survey and an extension to submit completed questionnaires past the initially communicated deadline data, the Commission received only two completed questionnaires by the close of the survey – from the Bahamas and Guyana. The Commission says in the report that the low response rate is itself telling, and the reasons behind it certainly require explanation. The report says it seems that central banks are exercising caution on going on record on digital currency and mobile money solutions. In one instance, communication with one representative whose central bank did not submit a completed survey revealed that, while the central bank did complete the survey, it would not be able to submit it given that it was still developing an official position on the matter. “In this context, the emergence of an environment of greater regulatory certainty with regard to digital currencies in many countries of the subregion will likely benefit from the establishment of official policy positions on the part of Central Banks,” the report says. Survey results from the Bank of Guyana showed difficulties for small and medium enterprises to obtain financial and approval requirements to provide e-commerce service because of a lack of e-commerce legislation. By contrast, e-commerce legislation in the Bahamas has been fully proclaimed and enacted. According to the survey, research into mobile money has taken place and is catered to by legislation, but regulations remain outstanding. 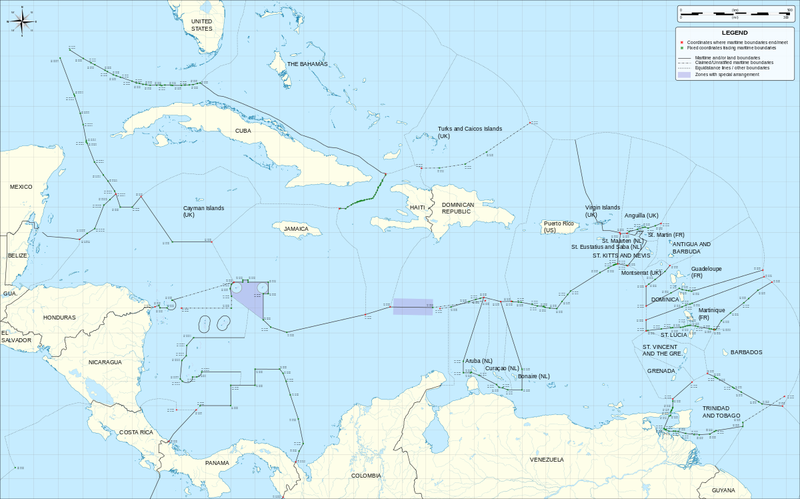 Maritime boundaries between the Caribbean (island) nations. It recommends that authorities in Caribbean nations take an inclusive approach to the exploration of digital currency that offers sufficient opportunity for public input and policy review. It also suggests it would be valuable for Caribbean countries to start interregional cooperation in digital currency issues now, at an early stage in the adoption of the technology, by participating in a shared policy investigation process. The Commission concludes that the high level of institutional caution on the part of the regulatory authorities may hamper the prospect for broader adoption of digital currency technology in the Caribbean.